If you follow me on Twitter, you'll know I've been doing fitmas. The workouts have been intense and fun, but a little bit tiring. I believe in mixing up your workouts with different sports (it makes you use different muscles and also makes your muscles work in different ways), so I was happy to be invited to the launch of Lexie Sport's unveiling of their new collection in conjunction with Style PB and Omega Movements at the Rag Factory off Brick Lane. The morning was divided into the yoga and pilates session, followed by breakfast and a look at the Lexie Sport collection. Omega Movements held the pilates and yoga class. The team is made up of 2 lovely ladies, Kathyrn and Nid. Nid teaches the pilates part of their Omega Movement classes and Kathyrn teaches the yoga part. After some gruelling HIIT sessions at the gym the previous days, the pilates and yoga class were a great way for me to take a day off from the gym and complete active recovery in a gentle way. The pilates class was probably for beginners to intermediate level, and really helped to work the core. Nid encouraged focusing on the various techniques from breathing to "scooping your belly in" and the progression from very easy to slightly more difficult exercises was done with ease so you never felt overworked. I haven't really done much yoga since school but the yoga was really relaxing and made me remember so many yoga positions (warrior pose or tree pose anyone?e breathing techniques was again something Kathyrn focused on. Omega Movement have an incredibly unique ethos to exercise and working out. They believe in incorporating movement into people's lives and have a Pilates and Yoga studio in Hackney Wick, where they hold community events. They also hold yoga and pilates classes in private tuition, corporate and public classes. For more information, visit their website. After the session, we munched on breakfast provided by Rude Health, who create clean cereals, mueslis, granola and other breakfasty foods, including a healthy version of sugar puffs (without the sugar). Super tasty stuff. Ok, for the Lexie Sport collection. This was their first collection where they incorporated colour (their previous collections have been monochrome). I loved the collection because it is very proud of its British heritage and the use of blue hues. The transition from monochrome to colour is likeable because the blues aren't in your face. In fact, my favourites were the grey vest top with the black mesh in the back and the blue leggings with the floral printed mesh down the sides of the legs. I am currently in love with all things mesh in activewear, so these Lexie clothes just ticked the boxes. The vests' fittings is something I quite liked. With mesh, you don't always want something clinging to you while you're working out (it can emphasise certain parts of your body you want to hide) but the Lexie Sports tops are loosely fitted. As for the leggings, if you don't like leggings with mesh or opaque strips down the sides of your legs, the Lexie Sports' ones are perfect because whilst they do have mesh strips down the sides, they have art-deco inspired prints so you can't really see your skin. Sports luxe is fairly new to the UK, compared to USA, but the number of sports luxe brands here is increasing. 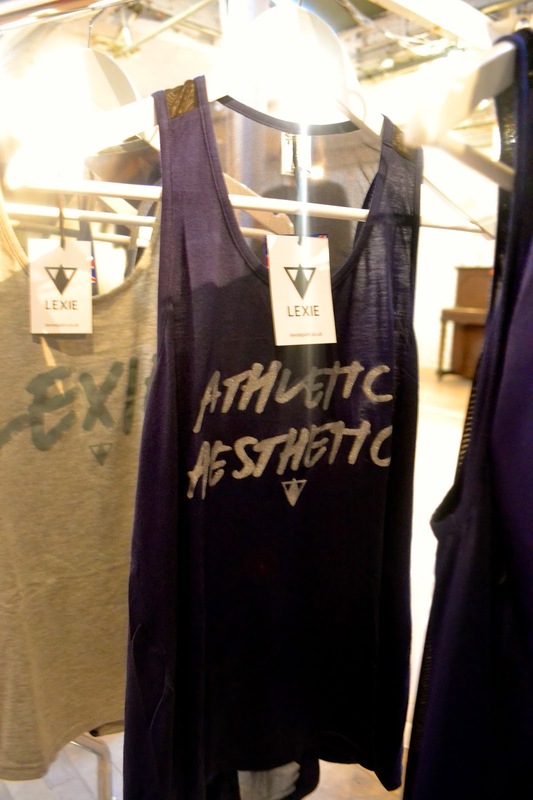 If you're looking for a sports luxe brand that is reasonably priced, Lexie Sports is one to shop from. 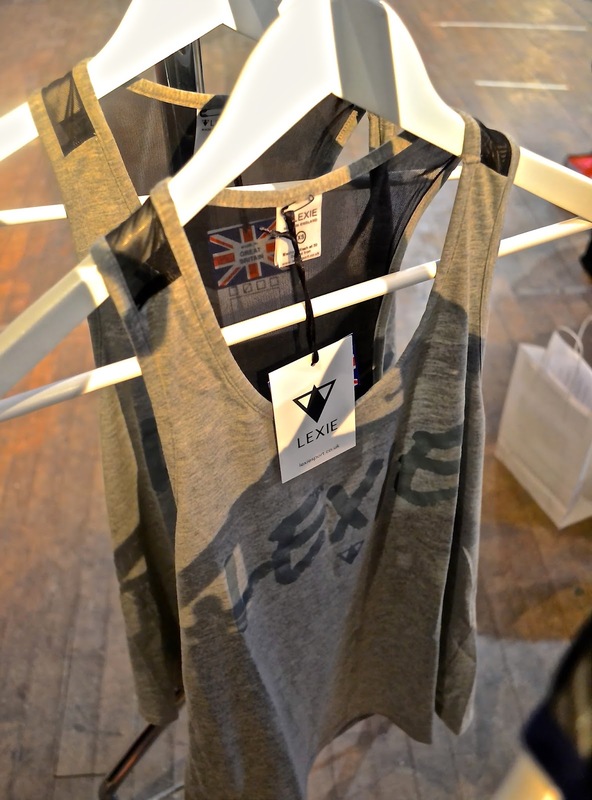 The Lexie Sports' collections are available on Style PB's website, who also stock a number of other sports luxe brands. A few companies are hosting events to showcase sportswear collections, and I'd definitely recommend going to one as you can see the collections in person before deciding whether to buy them online and you can speak to the brands in person if you have any questions about the clothes. Follow Style PB on twitter as they may be hosting other similar events in the future, where they showcase collections. What's your favourite item in the Lexie Sports Collection?